Last year’s Spring Fling Membership Drive was such a success that we’re offering it again this year! Renew your membership or become a member for the first time and receive a free publication until April 30th. The Newfoundland and Labrador Archaeological Society is truly saddened to learn of the passing of Ken Reynolds, of the Provincial Archaeology Office. With Ken’s death, we have lost both a great friend and a wonderful colleague, whose encyclopedic, broad-ranging knowledge of Newfoundland and Labrador archaeology can never be replaced. So many of us have had help, guidance, advice, and grand chats with Ken, and he made our small archaeological community a better place. The NLAS understands that a scholarship in Ken’s name is being organized for the Department of Archaeology at Memorial University, and in the coming weeks we will announce our plans for a donation to the scholarship fund. We cannot think of a better way to honour Ken’s memory than to support future generations of archaeologists in the province. Thank you, Ken, for being a great friend, and for your never-ending enthusiasm for Newfoundland and Labrador’s archaeology. Ken on Two Mile Island, Exploit’s River, pondering a Beothuk housepit 2015. 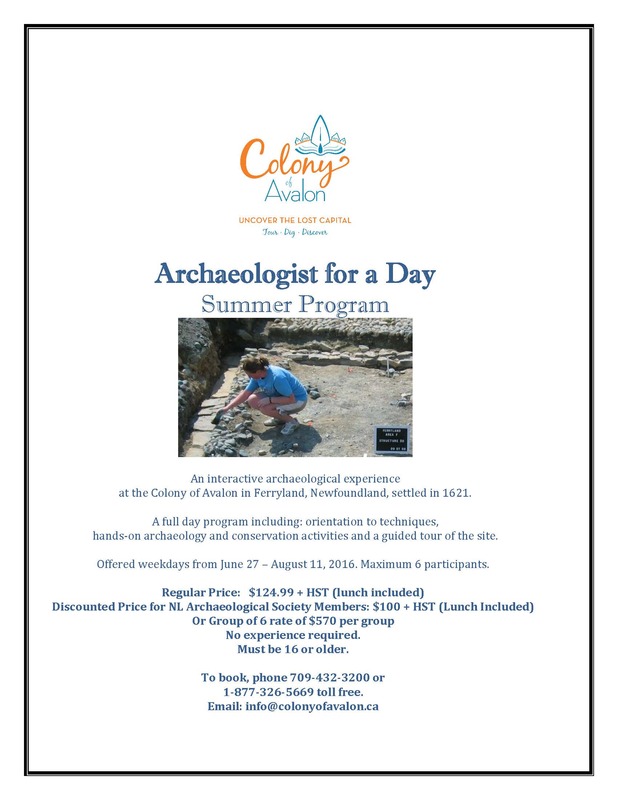 The Newfoundland and Labrador Archaeological Society (NLAS) seeks an archaeologist to catalogue an archaeological collection from Labrador for its 2016/2017 Community Collections Archaeological Research Project (CCARP). This will be the fourth CCARP produced by the NLAS, which is supported by funding from the Government of Newfoundland and Labrador. The collection this year is a combination of historic and pre-contact artifacts collected from the North Coast of Labrador. It includes 11 stone tools, 7 kaolin pipes (provenience unknown, but likely from Labrador), and utensils and lead line weights collected at Okak. These items all came to the NLAS by way of the Labrador Institute, where they remained after being donated by Carol Brice-Bennett. This event will be November 10, 2016 at 7 PM in room UC-3018, The Landing, Smallwood University Centre, Memorial University, St. John’s. The NLAS Annual General Meeting will follow the lecture. Drop by Big Ben’s Pub in Churchill Square in St. John’s on Wednesday, October 26th from 4:30pm on for a casual meet-and-greet with some of our current board members and learn more about what we do behind the scenes. We’re always interested in having new volunteers, too. You can volunteer at an event or a workshop, or on a committee, or even become involved on our Board. This year we’ll be looking for Executive Committee nominees for Vice President and Secretary. So, come on out to meet us, to find out what we do, and what we’re all about as a society. You’ll recognize our table– we’re the ones with a trowel propped up in a pint glass! International Archaeology Day is held each year on the third Saturday of October. International Archaeology Day is a celebration of archaeology and the thrill of discovery. 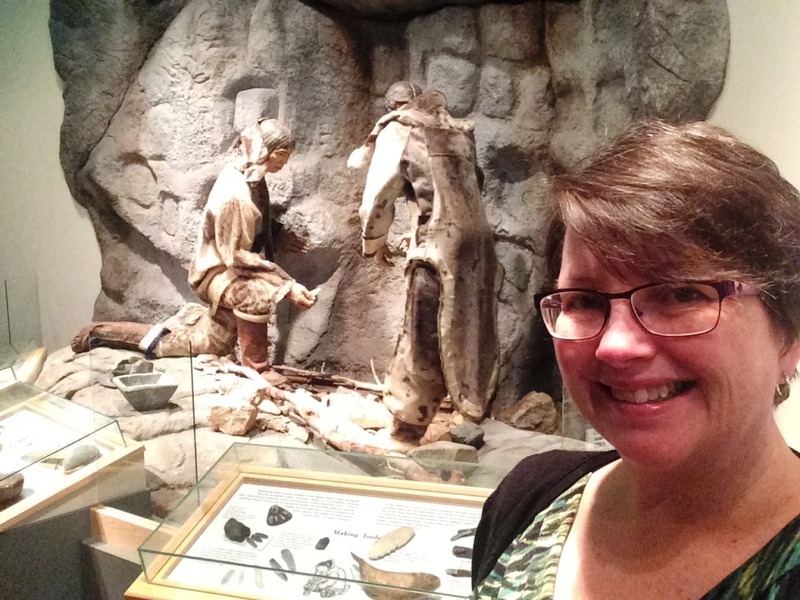 Every October archaeological organizations across Canada, the United States, and abroad present archaeological programs and activities for people of all ages and interests. Whether it is a family-friendly archaeology fair, a guided tour of a local archaeological site, a simulated dig, a lecture or a classroom visit from an archaeologist, the interactive, hands-on International Archaeology Day programs provide the chance to indulge your inner Indiana Jones. 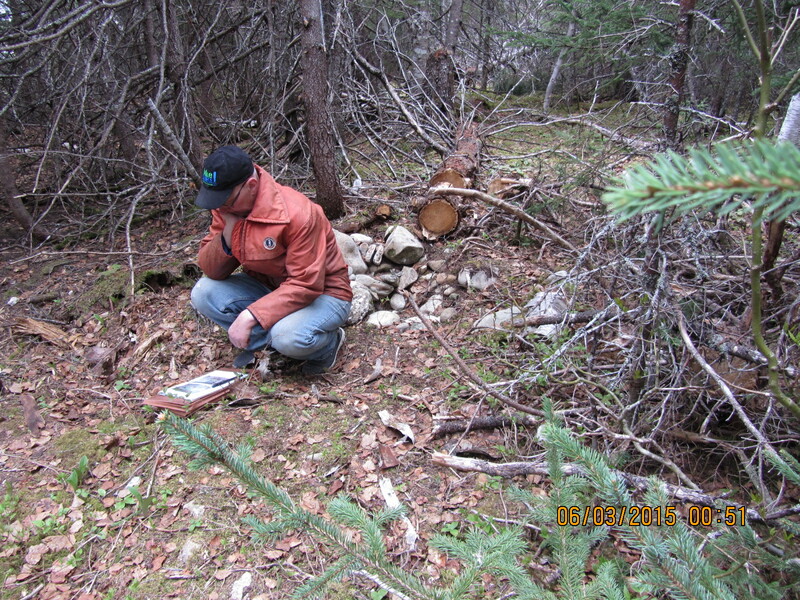 As part of International Archaeology Day the NLAS is releasing a new Community Collections Archaeological Research Project (CCARP) based on a collection donated by Bill Melbourne from Burgeo. We want to thank Bill for sharing this collection with the NLAS; in so doing, he provided us with new information on archaeological sites in the Burgeo area. Please keep in mind that our aim is not to encourage private collection of artifacts, but rather to record these undocumented sites, as well as educate and inform people about what to do if you find an archaeological site. Click on the cover image below to view and download a complete, free copy of the CCARP report on the Bill Melbourne Archaeology Collection. I grew up going to the Royal Ontario Museum and the Ontario Science Centre a lot. I remember really liking the discovery gallery the ROM had in the basement for kids that had all these edukits you could take down and open up. There were animal skeletons, Egyptian hieroglyphics puzzles and other museum behind-the-scenes sort of things.When I went to the University of Toronto I took anthropology and archaeology courses, but it was when I took the archaeology field school that my career path was solidified. I found that I really enjoyed the lab part of archaeology work – cleaning the artifacts, labeling them, organizing them, and I’ve stayed involved with that sort of work ever since. Standing in front of the replica of the Fleur de Lys soapstone pot wall at the Rooms. What sort of things do you do as the chair/member of the Finance Committee? As Treasurer and Chair of the Finance Committee I am in charge of the books and more of the legal side of running the NLAS. The Finance Committee as a whole supports the work of the Treasurer, as well as helps the NLAS with budget planning and overall financial operations.It includes tracking the money, memberships, reporting on the finances, filing papers for the Canadian Revenue Agency and the Provincial Government to ensure all our legal requirements have been taken care of. I’m partial to the small wooden scoop that was found at the Dorset soapstone quarry in Fleur de Lys. In many ways I’ve followed this artifact’s post excavation life the whole way. I was there when it was discovered and helped stabilize it for its return to St. John’s. After further examination, and recognizing the importance and rarity of the find, the principal investigator, John Erwin, along with the Provincial archaeology staff and conservator were able to arrange for further treatment and stabilization at the Canadian Conservation Institute in Ottawa. I had a chance to see it in treatment there, and once it returned to the province and was transferred to The Rooms Archaeology’s collections, I was able to be a part of the team that saw it installed in the gallery “Connections: This Place and Its Early Peoples”. Fleur de Lys wooden scoop on display at the Rooms. We’ll continue to bring together a wide variety of people with an interest in the archaeology of the Province. I’ve been excited looking at the membership of the NLAS to-date to see so many people join who are from the general public and who are from outside of the Province.I also hope we continue to see a variety of people be involved in the operation of the NLAS as new ideas and energies always help organizations like ours grow. In particular I’d like to see more undergraduate and graduate students in archaeology on the NLAS board and committees as organizations like ours certainly can help new archaeologists establish relationships and a broader knowledge base that can be very beneficial to their chosen career paths. Want to learn how to illustrate archaeological artifacts like a pro? Sign up for our next NLAS workshop. We’ll provide the materials and teach you what to do… no previous experience necessary. Cost: $10 for members, and $35 for members. Email us to reserve your spot! Previous CCARP reports can be seen here. Don’t forget your sunscreen, bug spray and fedora! If you are a NLAS member and want to participate in this program you need to indicate your NLAS membership to the Colony of Avalon folks at the time of booking to avail of the discount!